Across the nation, much of the American public remains unaware of the risks to privacy and freedom of expression posed by steadily advancing surveillance technologies. Automated license plate readers, cell-site simulators, and face recognition equipment—once confined to the imagination of science fiction authors—have all become common tools for police surveillance. Spy tech is often marketed to local law enforcement agencies with claims (often unsubstantiated) of enabling crime reduction without the need to expand police department personnel. However, the adoption of this equipment and failure to establish critical policies regarding its use presents substantial risks to privacy, as well as civil rights. Since 2016, we’ve worked with a range of local and national partners on empowering communities to take control of surveillance equipment policy and acquisition. These coalitions have supported cities across the United States in proposing ordinances that would provide consistent transparency, accountability and oversight measures. Two such proposals are currently under review in the San Francisco Bay Area. Oakland’s Privacy Advisory Commission recently finalized its recommendation to the Public Safety Committee regarding Oakland’s proposed Surveillance and Community Safety Ordinance. 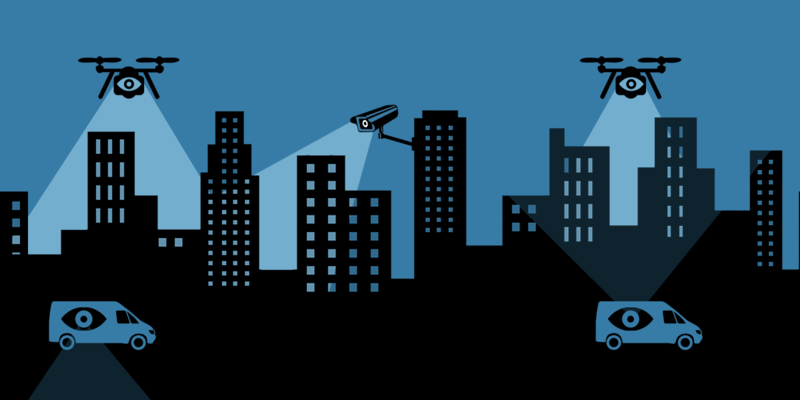 The Privacy Advisory Commission was created as the result of Oakland residents’ rejection of the proposed expansion of the Domain Awareness Center into a citywide surveillance network. In addition to work in their own community, Oakland Privacy, whose efforts were fundamental in the creation of Oakland’s Privacy Advisory Commission, has been a leading ally in our work to support the adoption of similar bills, not only in Oakland but throughout the Bay Area. The City of Berkeley, a neighboring community that has been the recipient of this support, is scheduled to hold a hearing on its own Surveillance Technology Use and Community Safety bill on Tuesday, December 5. With our coalition partners we submitted a letter in support of Berkeley's ordinance on November 20, asking the Berkeley City Council to recognize that, now more than ever, local leaders have a special responsibility to enact strong measures that protect vulnerable residents from suspicionless monitoring and the creation of databases exploitable for discriminatory ends. The Ordinance is straightforward: it requires essential transparency, accountability, and oversight for all surveillance technology proposals, and it ensures the public has the opportunity to learn about the civil rights and civil liberties impact of surveillance technologies before local officials acquire them. EFF also has supported laws to ensure community control of police surveillance for Santa Clara County, BART, Palo Alto, and statewide. The power to decide whether these tools are acquired, and how they are utilized, should not stand unilaterally with agency executives. Instead, elected City Council members should be empowered with the authority to consider and responsibly approve, or reject, surveillance technology. Most importantly, all residents must be provided an opportunity to comment on proposed surveillance technologies, and the policies constraining their use, before representatives decide whether to adopt them.